See why this island in Singapore sees over 5 million visitors a year. Sentosa is a popular island resort in Singapore which has everything a visitor needs to have a perfect vacation. All the elements are there, from beaches to indoor entertainment to theme parks. This is why the island sees some 5 million visitors per year, looking to enjoy all it has to offer. For a perfect day at the beach, check out Sentosa’s beach attractions. You will find all you’re looking for on the island’s 3.2km of white sandy shores. Choose between Palawan Beach, Siloso Beach and Tangjong Beach. You can enjoy lounging in solitude, swimming and various water sports. At Siloso Point, you can walk through historic forts and have an amazing underwater experience. You can find spas for relaxation and a host of exciting activities. For extreme thrills you can check out Universal Studios Singapore, where you can try action-packed rides with movie themes. 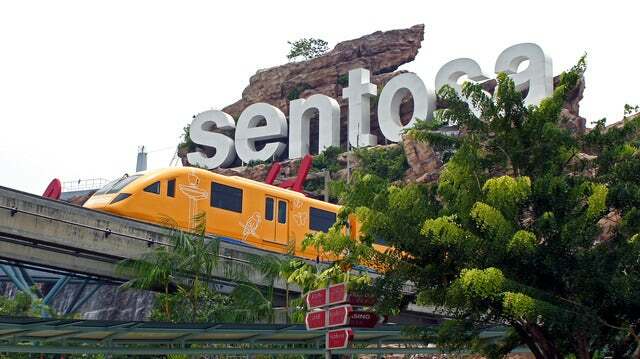 Sentosa also has a botanical gardens and maritime museum, nature reserves and parks. So if you are seeking an adventure where you will be surrounded by nature, head to one of these. You will see amazing and exotic wildlife, flora and fauna, and have a great day in the outdoors. You can also find activities like golf and sailing pretty easily, with some attractions specifically catering to these purposes. You can find it all on this island! So during your trip to Singapore, be sure to check out Sentosa Island for a day of adventure and fun. For more information or for help with bookings, please feel free to contact us. Do you have plans to travel to Singapore in the near future? Click here to see our cruise that will stop-over in Singapore.